I received a copy of this book from Harlequin UK through NetGalley in exchange for a non biased review on this title. DRAGONS!! 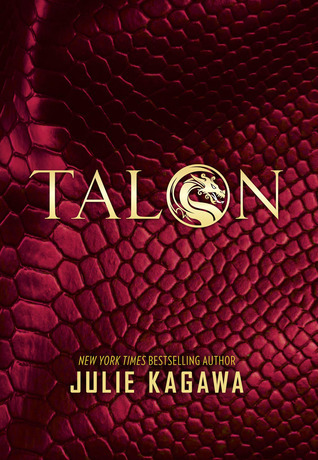 I absolutely adore dragons, I even went so far as to name my cat Spyro, so seeing that the great Julie Kagawa is writing about dragons, I may have clapped my hands enthusiastically. Ember Hill and her brother Dante are clutch mates, the dragon version of siblings and are finally getting to live with humans and integrate themselves into the human world before they are assigned their forever jobs at Talon. Insert Garret, a member of St. George who’s sole mission is to destroy dragons before they destroy the world. Sent in to find and kill the “sleeper” dragon he meets Ember and sparks fly. Julie Kagawa writes this book from multiple perspectives which keeps the reader informed on the different groups activities and the individuals feelings. This gives a deeper experience and a faster paced read. Working a bit like cross-cutting in movies, we go back and forth which helps build up tension, perspective and anticipation. This was done really well in my opinion as the story was never allowed to stall and drag its heels, it was punchy and fast-paced. This meant I devoured it in no time at all. The characters are diverse and have relatable issues. Ember is a dragon and having been trained all her life to blend in with humans is left without her wings and in brand new social situations which leave her uncomfortable. Her temper flares but Dante keeps her out of trouble. Dante is cool and collected, also being a dragon trained all his life to blend in, he just fades into society while maintaining the stringent and often stifling rules set by Talon. He loves his sister dearly and would not see her destroy her future. Garret is a soldier of the Order of St. George. He is hand picked to infiltrate the teenagers in the town and identify the dragon amongst them so eliminate. Uncomfortable with social nuances and situations he is a bit like a duck out of water and knows there is just something about Ember. Riley is a rogue dragon who looks to persuade young dragons to leave Talon and go rogue with him, being on the run for the rest of their lives. His latest target? Ember. So What made this book an absolute gem to read? that dragon returns my pennies!